I’m very fortunate to be able to treat so many patients with keratoconus, pellucid marginal degeneration, and other corneal irregularities. Depending on the severity of the condition, the treatment can be as simple as a pair of glasses to an advanced, topography-guided, laser-focused custom scleral lens. If a patient can see reasonably well with a pair of glasses, usually we opt with the least invasive approach. The good news is that if a patient has mild keratoconus, their vision can be quite good. As long as their keratoconus is stable (they’ve had corneal crosslinking for instance), we are happy to treat this way. For mild cases of keratoconus, pellucid, and other corneal irregularities we can occasionally opt for a Kerasoft IC or NovaKone soft contact lens. 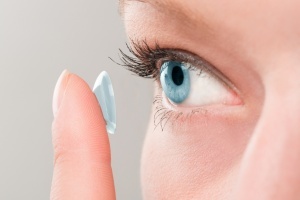 While they won’t create the same ideal tear layer of a rigid gas permeable lens, such as a scleral lens, they are stiffer than the average soft contact lenses the general population can wear. Because we can adjust the asphericity of the lens, base curve, overall diameter, and optic zone zone we can create custom soft lenses that can treat mild cases of keratoconus. Custom soft lenses like Kerasoft and NovaKone can go up to a variety of powers even as high as 30 diopters. The benefits of using a soft lens is that the lens is easier to insert with greater comfort than many of the rigid gas permeable lenses. For those who have tried and failed with both rigid gas permeable lenses, scleral lenses, or have very mild cases of keratoconus these are certainly an option. 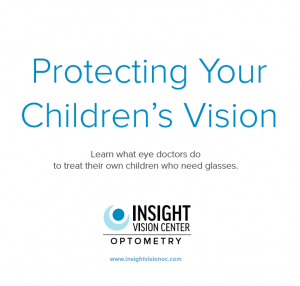 At Insight Vision Center Optometry, Dr. Thanh Mai and Dr. Valerie Lam are happy to discuss this as a treatment option for you. Come visit our office in Orange County for a keratoconus, scleral lens, pellucid marginal degeneration, corneal transplant, or post-LASIK eye exam!